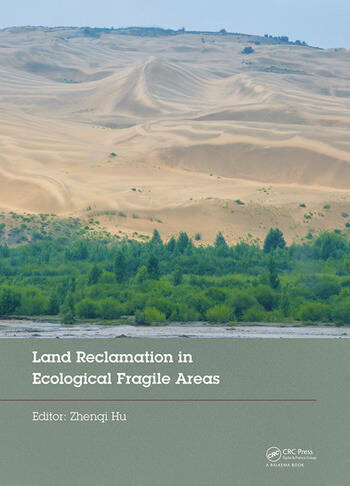 Land Reclamation in Ecological Fragile Areas will be of interest to engineers,scientists, consultants, government officials and students in this area. Does biochar promote reclaimed soil qualities? Dr. Zhenqi Hu is a Professor at the China University of Mining and Technology (Beijing). His main research interests are land reclamation and ecological restoration, mining environment, application of 3S (RS,GPS and GIS) in land and environmental science, and land use and management. Zhenqi got his Ph.D, M.E and B.E in mine surveying from China University of Mining and Technology in 1991, 1987 and 1984. He studied at the Mining Engineering Department of Southern Illinois University at Carbondale as a joint training Ph.D candidate between USA and China for his doctorate research on land reclamation from 1989 to 1991. He had one year research experience in the field of contaminated land reclamation at Camborne School of Mines, University of Exeter, UK as an Honorary Research Fellow, supported by the Royal Society of UK from1996 to 1997. He is currently the director of Engineering Research Center of Mining Environment and Ecological Safety at the Ministry of Education of China and the director of the Institute of Land Reclamation and Ecological Restoration, China University of Mining and Technology (Beijing). 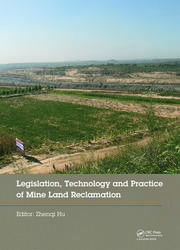 He is a member of Coordinating Committee of International Affiliation of Land Reclamationists (representative of China), managing editor of the International Journal of Surface Mining, Reclamation and Environment and deputy director of land reclamation professional committee of China Coal Society, and received the ASMR (American Society of Mining and Reclamation) Award of Research of the Year in 2009.